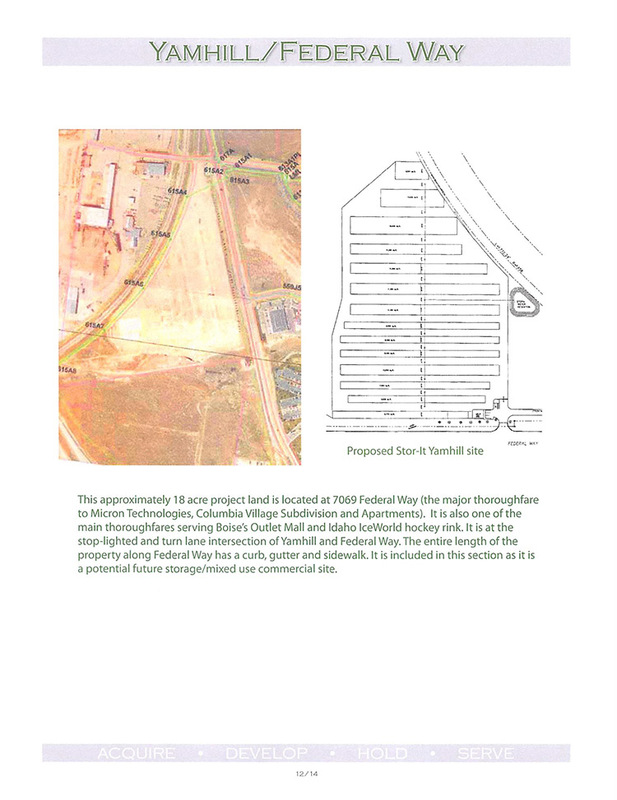 main thoroughfares serving Boise’s Outlet Mall and Idaho IceWorld hockey rink. It is at the stop light and turn lane intersection of Yamhill and Federal Way. The entire length of the property along Federal Way has a curb, gutter and sidewalk. It is being held as development property as a potential future storage/mixed use commercial site.